Funeral services for Mrs. Georgia Hudson Neal will be 2:00 P.M. Tuesday, March 27, 2018, at Ligon & Bobo Funeral Home with Ben Neal, Bro. Johnny Markham and Bro. Kevin Owen officiating. Interment will follow at Wilson County Memorial Gardens. Visitation Monday 4-8 PM and Tuesday after 12 Noon at Ligon & Bobo. Mrs. Neal, age 96 of Lebanon passed away Thursday, March 22, 2018, at her home. Born March 4, 1922, in Wilson County, she was the daughter of the late Glenn and Tillie Oakley Hudson. She was a business woman, helping her husband at Neal’s Amoco and on the farm. She loved God and reading the Bible. 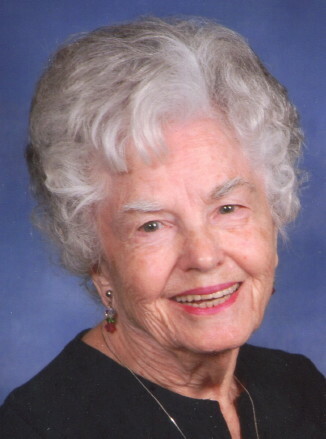 She was an excellent cook and seamstress, and enjoyed flower gardening and square dancing. She was a member of College Hills Church of Christ where she taught Sunday school for many years. She also was a member of the Shop Springs Home Demonstration Club. In addition to her parents, she was preceded in death by her husband of seventy years, Frank Albert Neal Jr; son, Frank A. Neal III; two brothers, Carlos & Ollie Hudson; and seven sisters, Mildred Litchford, Irene Hallums, Lucille Ogle, Eunice Tribble, Lois Hudson, Allie T. Denton, and Louise Eastes. She was a loving mother to Jimmy (Linda) Neal; Terry (Virginia) Neal; and Joy Rhodes; seven grandchildren, Frank A. (Karri) Neal IV, Ben (Becky) Neal, Karen (Steve) Murphy, Angie (Floyd) Riddle, Christy Morris (Danny), Brandi (Kent) Gooch, and David Neal; daughter in law, Suzanne Neal; 13 great grandchildren; 5 great great grandchildren. Memorials may be made to Christian Relief Fund, World Bible School, or to Healing Hands International.